innovators like Intel." Lend Wahls a hand by joining the Change.org campaign. Does objectifying Tim Tebow make it easier to swallow his right wing proselytizing? Since the Dallas Cowboys didn't want to shell out the $275,000 to buy Cowboys.com, that domain is now a gay dating site – and it's open for business. Yee-haw! GOP House Speaker John Boehner says all the fuss over videos of Mitt Romney denigrating nearly half the nation is just "hand-wringing." Jeremy Hooper's clever commentary on all the actual right-wing hand-wringing about DADT's repeal. Karl Lagerfeld takes back saying he doesn't like Pippa Middleton's face. He now says he just doesn't like her make-up. Supreme Court Justice Ruth Bader Ginsburg fully expects the court to hear a case on the Defense of Marriage Act in the very near future. "I think it’s most likely that we will have that issue before the court toward the end of the current term," she said. Mitt Romney should have started playing nice a long time ago. Kato Kaelin now says that, yes, OJ Simpson murdered Nicole and Ron. 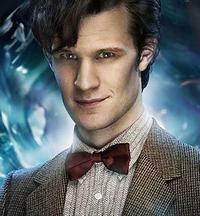 The marriage equality debate would be much easier if it were just about watching Doctor Who on Sundays. Tom Ford and Anna Wintour attended an Obama fundraiser together in London. Just in case you're keeping tabs. Composer Nathan Hall needs help to 'Tame Your Man'. Can Marco Rubio save Mitt Romney's campaign? Tommy Thompson, Tammy Baldwin's GOP opponent in the Wisconsin senate race, says Mitt Romney is to blame for his bad poll numbers: "If you're a standard-bearer for the presidency is not doing well, it's going to reflect on the down ballot." On a related note, President Obama is ahead of Mitt Romney by 7 points in Wisconsin, according to Public Policy Polling. A poll out of Maine shows pro-equality positions still in the majority, but the numbers are getting closer: 52-44, a far cry from the 20-point lead marriage equality had earlier this year. 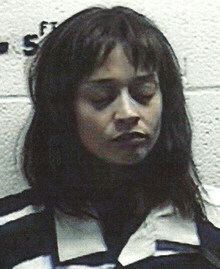 Fiona Apple was arrested in Texas for having some hash. LA Weekly has a great piece about the debate over whether discrimination really causes depression in minority groups. prejudice against himself causing his depression)." Oh, good: another "invisible Obama" lynching.